This endowment was created in September 1989 with gifts from Mr. James W. Brinkley and Mr. Raymond Mason to be used for a professorship in the School of Business with emphasis in the areas of Finance and Investments. This endowment was established in 1989 with a gift from T.C. and Elizabeth Clarke to support a professorship in Business. Established in 1987 with a gift from Ferguson Enterprises; income from this fund shall be used to provide a permanently endowed professorship in the School of Business at William & Mary to attract and retain distinguished teacher/scholars on the faculty. 2010: Professor William R. Stewart, Jr. The endowment was established in 1980 with a gift from Ethyl Corporation. Income is used to support the Floyd Dewey Gottwald Endowed Professorship in the School of Business. This endowment was established in 1988 with gift from Hays T. Watkins, Thomas H. Watkins III and the Watkins Family Charitable Foundation to support a professorship in the School of Business. Established in 1978, with a gift from Lucille G. and J. Edward Zollinger to be used to support a professorship in the College's School of Business. This endowment was established in 1979 by the J.S. Mack Foundation. Income is to support a professorship in Business. This endowment was established in 1987 by Virginia corporations and friends of the late John Dalton, former governor of Virginia Income is to be used to establish a professorship in the School of Business. Established in 1987, income from this fund will establish a professorship endowment honoring John S. Quinn, Professor Emeritus in Accounting at the School of Business at William & Mary. This endowment was established with a gift from Mr. K. Dane Brooksher and supports a professorship in the William & Mary Raymond A. Mason School of Business. This endowment was established with a gift from KPMG and supports a professorship in the field of accounting and may also support a faculty coordinator in accounting, curriculum development and faculty research. The purpose of this gift is to establish an endowed professorship in the School of Business at William & Mary. This fund was established in December 2003 with a gift from Patrick and Margaret Walsh to provide funds for clinical professorship in business leadership support. The endowment was established in 1978 from a gift from Mr. Richard S. Reynolds, Jr. The income from which is to be used for the support of the Richard S. Reynolds, Jr. Professorship of Business. 2010: Professor John L. Merrick, Jr. This endowment was established in 1987 through a gift from Mr. Richard C. Kraemer. Income is to supplement a professorship in the Raymond A. Mason School of Business. 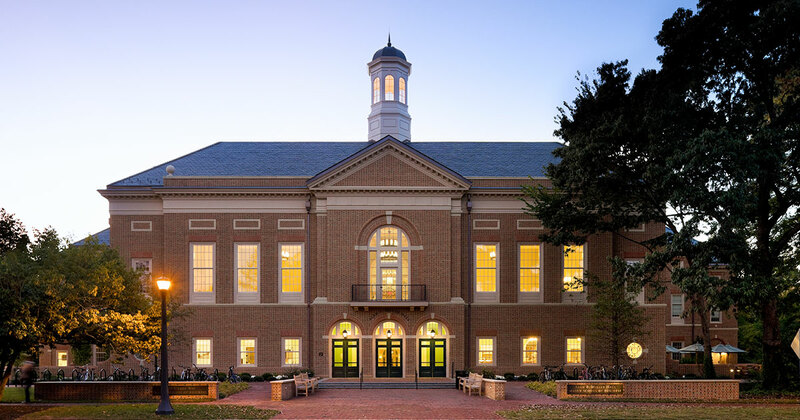 Established in 1980, the D. Hillsdon Ryan Professorship Endowment Fund is restricted to the partial support of the D. Hillsdon Ryan Professorship of Business at William & Mary. This endowment was established with collective gifts from alumni of the Executive MBA Program. This endowment was established in 1989 through a gift from Mr. Henry H. George and Mrs. Nancy George. Income is used equally between a professorship in the School of Business and a scholarship in Athletics honoring his father, W. Brooks George. This endowment was established in 1978 with gifts from the Chessie Corporation and the name was changed in 2005. Income is to fund a CSX Professor of Business in the William & Mary Business School. This endowment was established by William J. Fields to support a distinguished faculty member in the School of Business. income may be used to help cover salary, benefits, and research/teaching support. The Thomas L. Owen Professorship in Finance was established in May 2012 through the estate of Mr. Owen, a 1951 graduate of William & Mary. An Economics major, Mr. Owen had a distinguished career in finance as a portfolio manager culminating as President and Chief Executive Officer of Owen Capital Management. The Banks Professorship was established in 2012 by Charles (Honorary Alumnus '05) and Mari Ann Banks to support a non-tenured professor in Entrepreneurship. Charlie, former CEO of Ferguson Enterprises, was appointed to William & Mary's Board of Visitors in 2006 and has served as a trustee of the William & Mary Business School Foundation, which he chaired from 1992 until 2001. The Mansfield Professorship was established by Mrs. Dawn Mansfield Arnall '80, MBA '82, in honor of her parents, Welton and Beata Mansfield, and in recognition of the unique opportunity provided to her as a student to closely interact and collaborate with world-class professors. The Professorship funds faculty positions in the School of Business and Arts & Sciences, rotating to a new recipient every two years. Established through a testamentary gift from Henry A. '47 and Phyllis Struse Shook '48, this endowment will be used in support of faculty at the Raymond A. Mason School of Business.